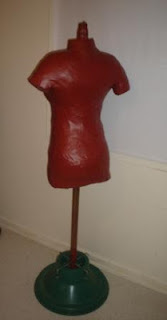 We are offering a class in Diva Mannequin making complete with a stand how to. When you are not using this for sweater measuring, or sewing needs, "You" can stand in the corner as a scarf holder, necklace stand and of course a clothing hanger. It's that time again and I can't believe it... I've been working in the plans for KnitFest Fall 2012. I heard from some of the knitters that they would like topics such as Steeking your Knitting, Continental knitting and How do you get the Perfect Fit class. I heard you!! Once again, our very talented teachers - Kate Atherley and Glenna C will be back to share with us their knitting expertise. Just like last time, you get your choice of one morning class and one afternoon class. Do you want to take your colour-work knitting to the next level? Come learn all about steeks, when we cut up our knitting on purpose! We’ll practice different methods of reinforcement and learn about the do’s and don’ts of this fabulous technique. Here's a few pics of our newly expanded wool shop. Please drop in and check out our new space. As business evolves so does our space. The wool shop was creeping out into the main shop space, so now it's taken over and we couldn't be more pleased. With the help of Donna, Karen, Jim and myself we "Traded places" - the wool shop is now in the main shop and the clothing is in the "Room". It took some maneuvering I'll tell you. The in-sync shuffle took hours but the end result is wonderful. We now have a room for our knitting afternoons, cafe afternoons, Wednesday "911 knitting help" afternoons and a separate functional classroom. Our class list will expand for Fall as we will be able to host and teach at the same time. Clearance on end of lines, discontinued colours and yarns. Our back garden is really lovely. The sunshine peeks thru and glimmers off the gardens... The bird traffic is marvelous to watch- something keeps stealing the yellow flowers from the hummingbird feeder... We can't figure out if it is a squirrel or bird- in any case what ever it is they drink the syrup... yuck!! and drop the plastic flowers on the ground..
Karen P comes to our Drop in Knit Cafe on Thursdays. She has been working on the Ilga Leja vest called Among the Birches. It has turned out fabulous!! Now for the buttons... With all the purple, turquoise and lime running throughout who could make a decision. One thing for sure, the buttonhole pattern suggestions were going to change.